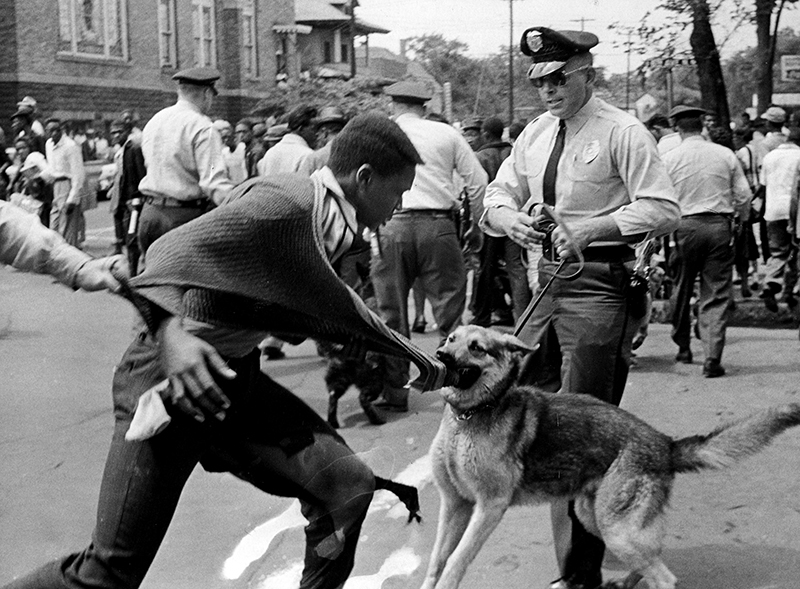 Police K-9 units were deployed to manage crowds of protesters during the Birmingham Campaign of the civil rights movement in May 1963. Such actions brought massive negative publicity to the city in the national media. Courtesy of The Birmingham News. All rights reserved. Used witih permission.